Lake Level: (may be down due to summer drought) Often down a few feet for winter pool. Like all Alabama Lakes, this man made impoundment (now 36 years old) situated in mid Alabama on the Alabama River near the state capitol of Montgomery, Al. displayed some unseasonably low lake levels this past summer. This lasted throughout the latter part of this past summer season. As September gets underway (the actual beginning of fall in Alabama), it seems like the low 90 degree temperatures are quite tolerable especially when compared with the drought that lasted for 3 weeks in August…3 scorching weeks of some very unbearable low, 100 degree temps. But that’s all behind us for now. The cool down period of fall shows the upcoming months a welcome sight for all anglers, some of which have not even fished recently, due to the uncomfortable midday heat. 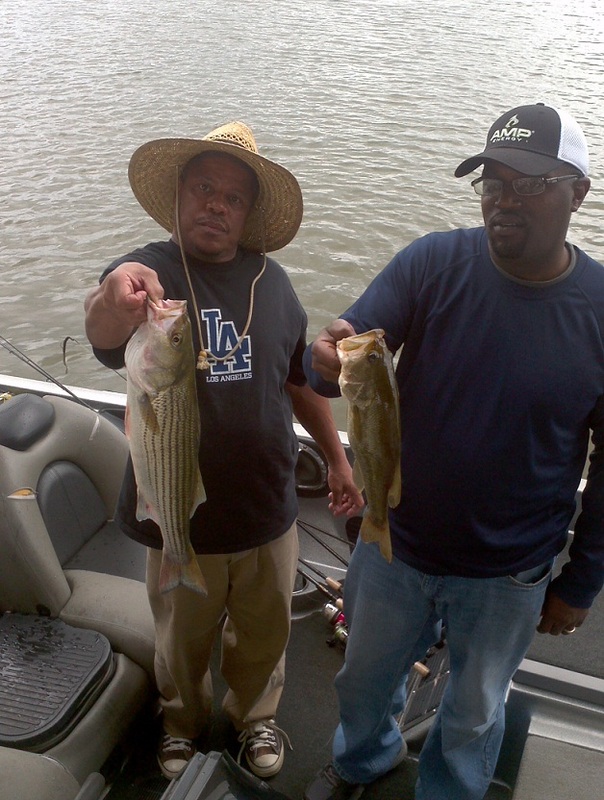 And there are those that braved the heat that knew of the results — some very slow fishing. Many of these anglers may also be in for a surprise when they do fish their favorite creek on this lake this fall when one of two things could occur. Jones Bluff Lake could display most its major feeder creeks and flats to be almost “high and dry” with some very evident grass now growing at low pool, on what used to be the lakes original banks when at full pool. Or the lake could suddenly rise back to full pool with falls increasingly heavy all day rains and the constant evening thundershowers that are capable of dumping several inches of water in the lake in one day, bringing the lake back up. This huge impoundment gets the results of a lot of rainfall — run off that is fed to Jones Bluff Lake from two major upstream Alabama River Systems. Jones Bluff Lakes headwaters are fed by the tailrace waters of upstream impoundments (8 in all) that are situated on the Tallapoosa River System (2 lakes) and the Coosa River System (6 lakes), resulting in a lot of water. It can rise suddenly and get muddy real fast when you least expect it. Main lake headwaters get muddy for days at times during the fall and winter period and some feeder creeks are muddy as well after a heavy rain. So a good game plan during pre tournament practice or when rain is expected, is to have several mid to lower Lake spots that don’t muddy up as much. There’s really no secret when it comes to fishing for these fall bass on this twisting and winding river system. Its like fishing any river that displays plenty of current, lots of fish holding cover and usually has a slight stained look to the water. 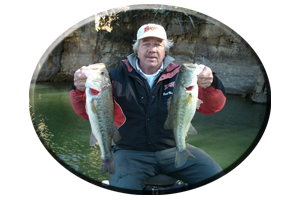 The water clarity on Jones Bluff Lake can change from day to day calling for the use of certain lures, lure colors and various lure actions and sounds. Weeds on this lake could be thick, green and full of predators and prey, right on up into early winter. Its all according to lake levels and how much the weeds get exposed to the life giving sun. Even aquatic weeds that were slightly dormant with this past summer’s drought, could now display new growth as lake levels stabilized and the lake stays at one level all throughout August and September. Bass and the many meals they feed on, will hang around these weeds even when these many types of weeds begin to turn brown and eventually die. Or if the weeds just become dormant (like some varieties do for the colder winter months), they still exhibit some green growth and put out plenty of oxygen to filter out the surrounding waters. This is rather clear with 2-6 inches of water around aquatic weeds clearly visible, when surrounding waters are stained or muddy. Lures that mimic the many meals of fall are now to the extreme. 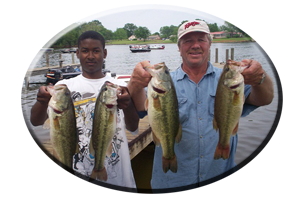 There are so many types of weedless lures on today’s market, hundreds of various types of topwater lures and dozens of lures fished on or near bottom in and around Jones Bluff’s many weed types, that a list several pages long would be needed to really go into detail. So like most anglers you probably have a few of these lure types. Buzzbaits. 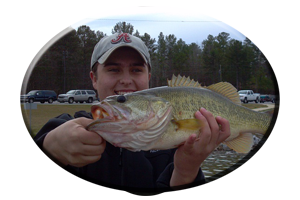 These lures make a lot of noise, they generally attract the bigger bass and they can be very weedless, that is if you keep them moving. Buzzbaits hang up when drug across the weeds or stumps and when slowly allowed to roll over within the weeds they hang up. Click the reel in gear as soon as the lure hits the water and begin your retrieve fast keeping your rod tip up and the buzzbait moving and it will not hang up. Even attaching a trailer hook (which I highly recommend for short striking bass), is not going to make the buzzbait hang up. Sharpen all hooks. Always rig the trailer hook with the hook point facing upwards. Fish buzzbaits with a slow, steady retrieve with your rod tip facing up, fished on strong 17-20 pound test monofilament line or braided line in the 30-40 pound class and use medium heavy action rods of 6-7 feet in length. There are some big bass to be caught fishing these very irritating lures in and around the lakes weeds, wood cover and rip-rap rocks or along rocky banks, around bridges and the dam area on Jones Bluff Lake this fall. Even on into early winter bass will hit a buzzbait with water temps in the low 50′s. Colors of white or chartreuse and white, with gold or silver blades are usually best. Dark periods like dawn or late evenings or on cloudy, overcast or rainy days may call for the use of a black buzzbait. Frog and Small Rat Imitations. These tasty little morsels that run the banks and weed lines of this lake have been consumed by these bass all spring and summer long. These bass are used to seeing frogs hopping and swimming all about in the weedy shallows and seeing the small mice and rats run along the banks of the lake and its backwaters. So using lures that look like these creatures will result in these imitations immediately being attacked, as these bass continue to consume these easy to swallow meals on into the fall season. 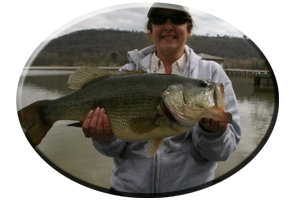 Fishing with long rods like 7 foot flipping rods and 20 pound test monofilament line or heavy braid is recommend to aid an angler in horsing these big bass out of thick cover. Colors of white, lime, chartreuse, yellow, brown, green and black can be tried on both lure types until fish catching results show the best color preferance. 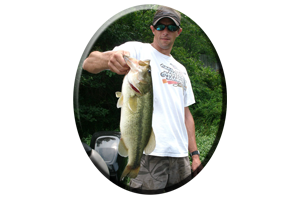 Like when choosing colors for buzzbaits, darker days may call for the use of darker colored frog and rat lures. So experiment. Spinnerbaits. These flashing and vibrating lures emit just enough attraction in stained water to maybe just be the best lure for overall fishing on Jones Bluff Lake this fall season. You can use bright colors and heavier model spinnerbaits featuring oversized Colorado or Willow leaf blades to attract bass in stained to muddy water conditions. Or you can downsize your spinnerbaits and go to an all white spinnerbait with small silver blades when faced with clear water conditions. Line test of 15 to 20 test is suggested. 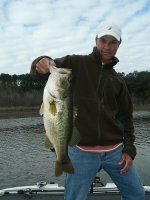 These are just a few lures that always attract a few bass in and around the weedy waters and various types of wood cover found all along Jones Bluff Lake during the fall and early winter. Develop a few lures and techniques of your own and learn how good of a lake this can really be prior to winter. Usually, when other anglers are fishing other lakes. Or out deer hunting…leaving you with the lake all to yourself this fall season.